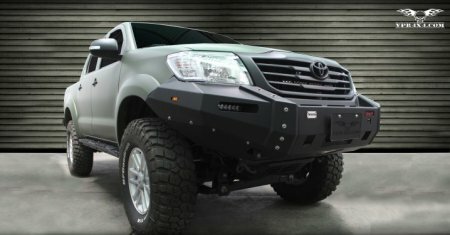 VPR4X4 Front Ultima Bumpers are designed to enhance the vehicles lines and safety. Many of the bumpers have been tested and certified as ADR-69 compliance. Depending on the model D rings are built into the bumper. Also some models have are built to accept a VPR4X4 Stinger Hoop Accessory.